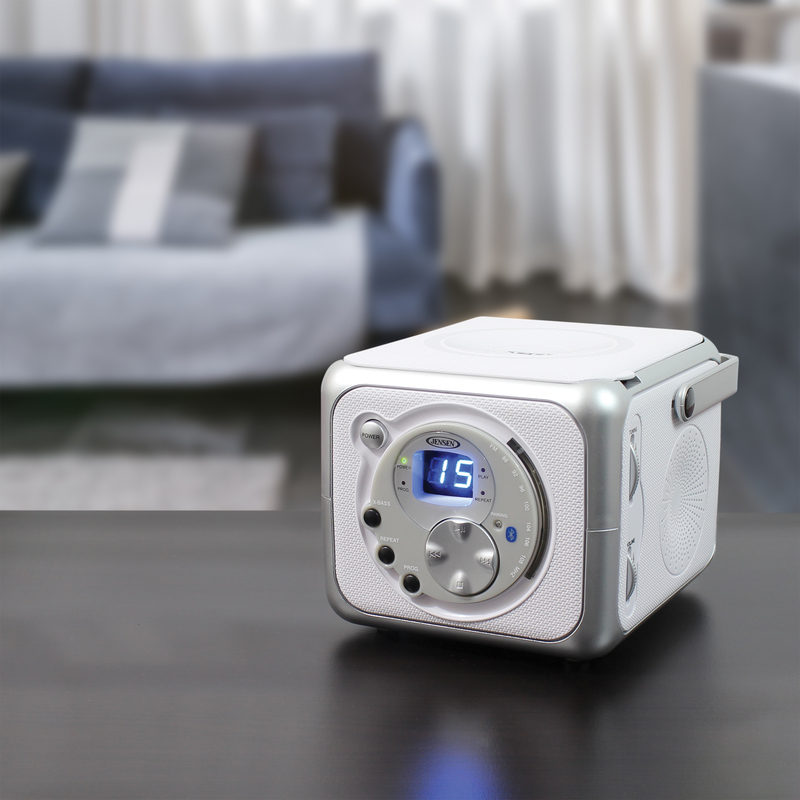 Experience great music with the JENSEN® CD-555, a compact portable stereo music system with Bluetooth® connectivity, a top loading CD player that plays CD-R/RW discs and FM radio. 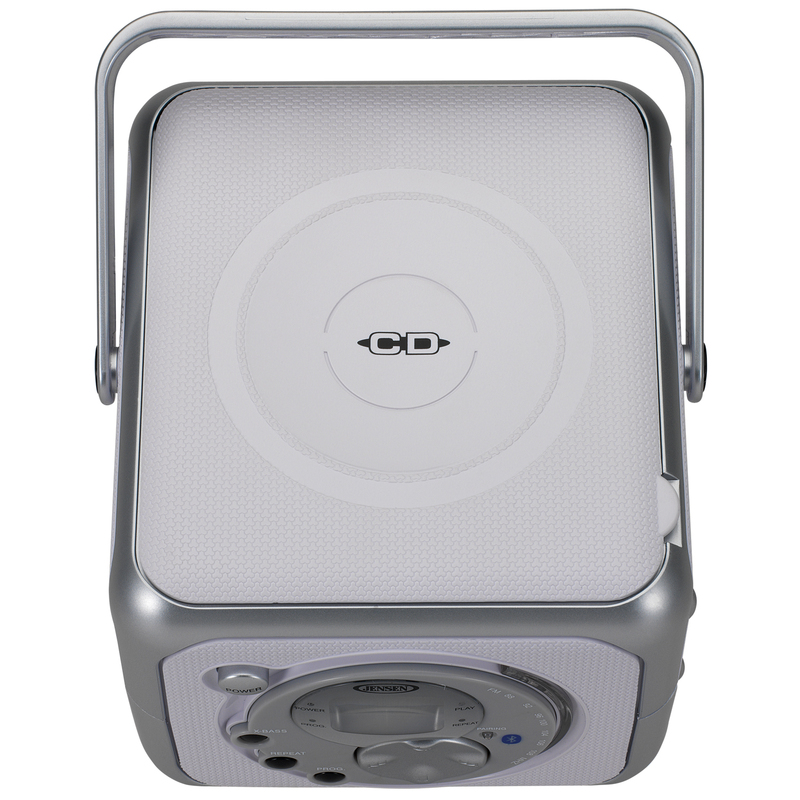 Link up your Bluetooth device, and wirelessly play your music from up to 33 feet away. The unit features easy access front and side mounted controls and an X-Bass button for enhancing the bass effect on anything you play. 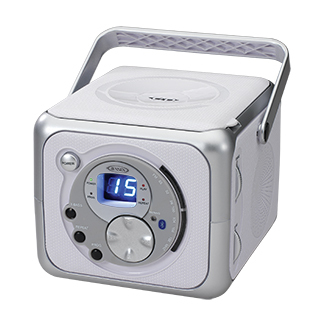 The CD player features a blue LED track display and all the necessary controls for playing and enjoying your CDs. 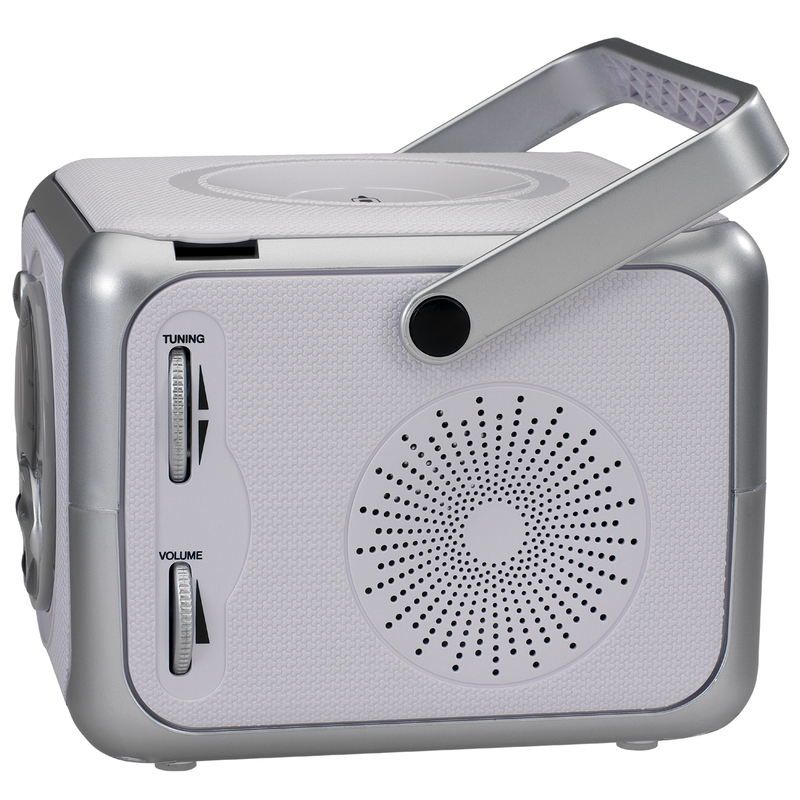 The unit also has a foldable carrying handle, headphone jack, and auxiliary line-in jack for connecting your iPod®, MP3, or other digital audio player. 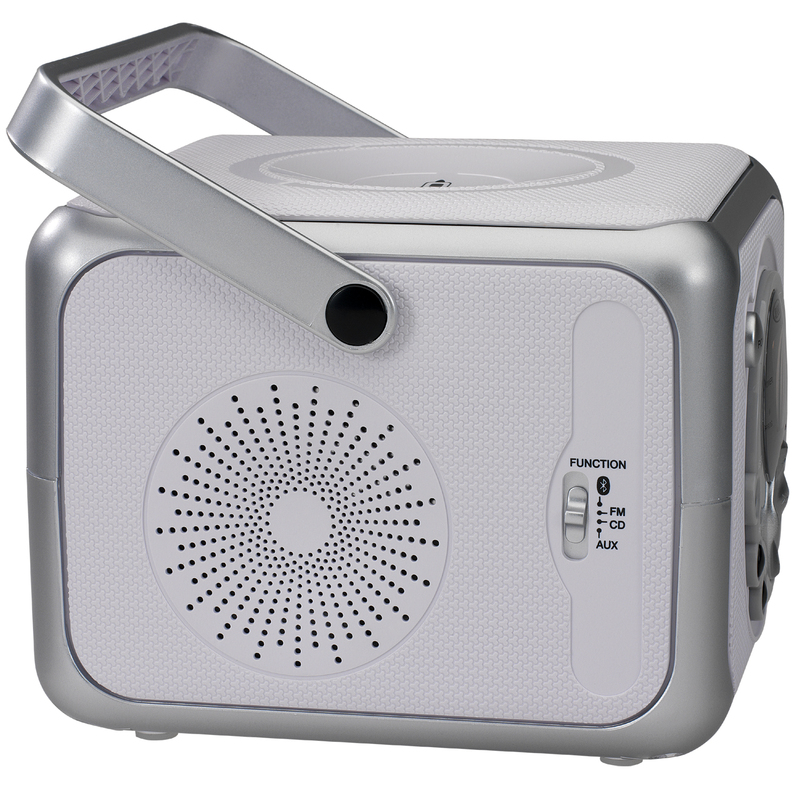 Enjoy powerful, realistic sound anywhere you go with this portable music system.